I brought a bow tie to a dog fight. Just kidding! They played nice. 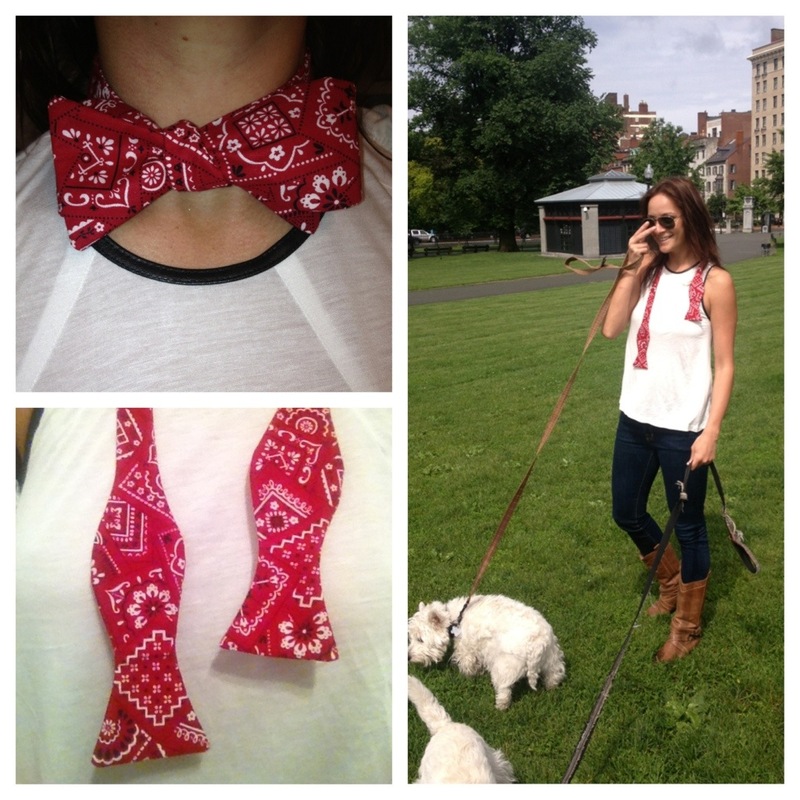 Introducing The Bandana bow tie!!!! 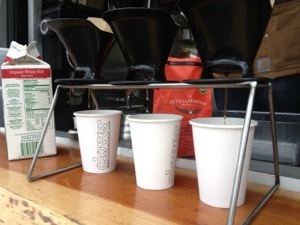 Breakfast from the Clover food truck parked by the Park St. T station in the Boston Common. This coffee was apparently just reported on in The New York Times….It was pretty good I guess. 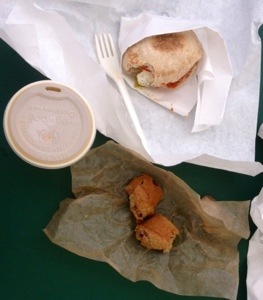 Clover Breakfast sandwich and cranberry apple muffin….YUM!